Hart Square – there are no people here. Only cabins. Rows and lines of them zigzagging across the land like an Etch A Sketch drawing. Scores of logs stacked on top of each other. There’s a tavern. Tobacco barn. Water well. Doctor’s office. Post office. School. Teeter-totters. Moonshine still. Cotton gin. Church. General store. Print shop. A village preserved in its entirety. 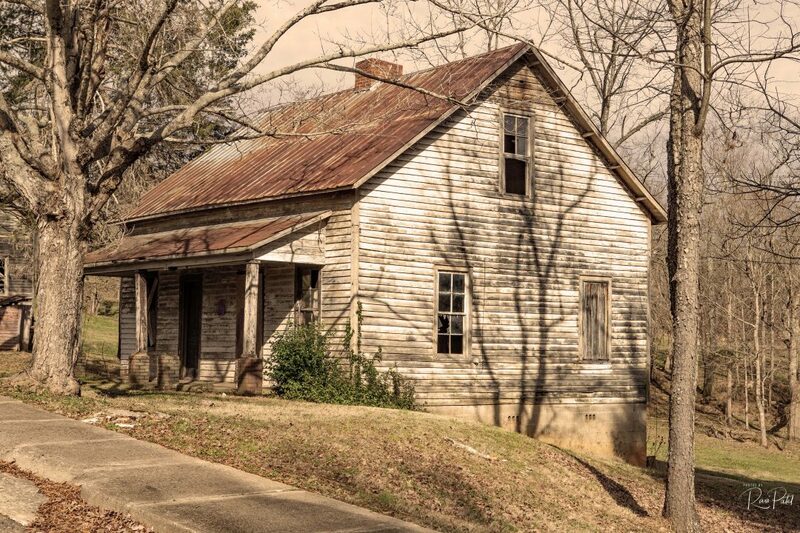 A ghost town from the 1800s, right here in the hills of Hickory, North Carolina. Bob Hart, a doctor, has been going and going for 40 years now on this land. 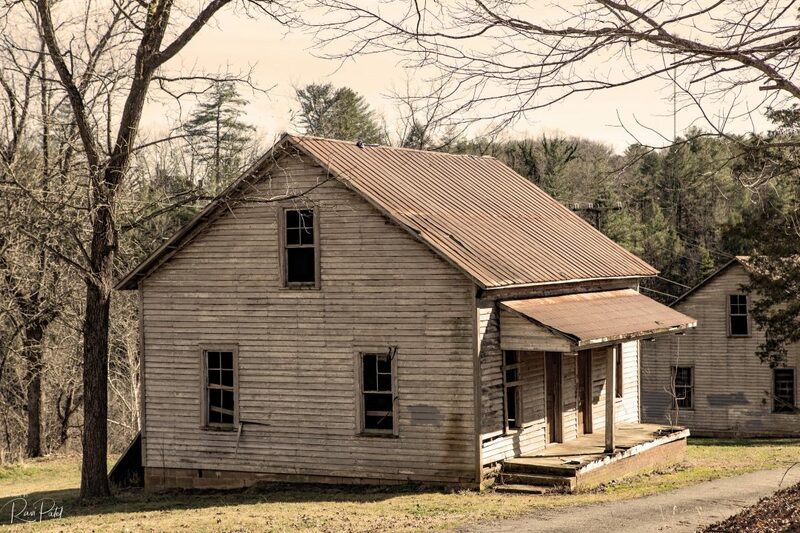 He’s gathered these 100 buildings from the surrounding counties and moved them to this 200-acre haven. He’s stuffed the cabins with beds, chairs, food, dresses, shoes, brooms, medicine. Each structure represents a part of this village he calls Hart Square. I have captured some images and portrayed them in a historical tone. 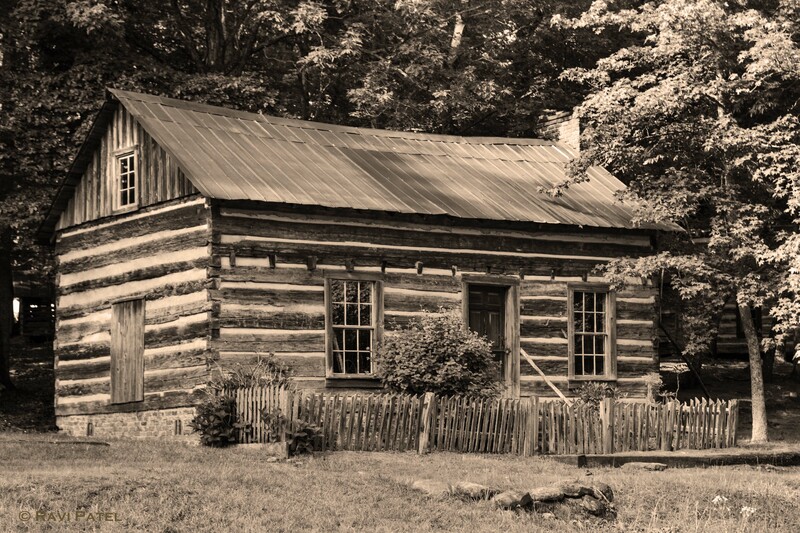 Here is a cottage from the past ….